The biggest technology revolution Indian’s have encountered in the past 5 decades is the advent of the internet for daily use. 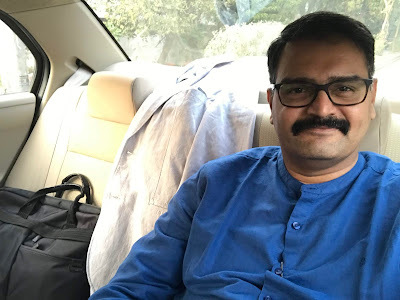 From ordering Vegetables & Grocery, booking Travel tickets for Air, Train, Bus and Taxi rides on Ola & Uber and not to mention the flirtatious relationship we enjoy with Amazon, Flipkart, Snapdeal and others – India is the only country in the world which has the highest percentage of “Cash on Delivery” model – a method we have invented where the delivery boy collects cash after delivering the parcel from an E-Commerce company… be it mobile phones or an acrylic accessory which hides the back (and sometimes even the front of the Rs. 50,000 (about $700) worthy iPhone XR) or a simple Pizza that is delivered from the neighbourhood Pizza Hut. And this is where the first nightmare begins for the frequent Indian Traveler like me. Even as a harried (and hurried) passenger books his/her cab through a cab-hailing App such as the Wall St. funded Uber or the Indian discovery (and Japanese funded) Ola say around 4 am, the traveler realises she is low on Digital Money for paying the cabbie. So, she adds up a sizeable amount in to their wallet from a bank account or credit card and the transactions fails at the first instance. Why did it fail? While we have the highest number of mobile connections in the World, the number of towers is quite disproportionate to the usage. Isn’t there something called Broadband? Oh yes, we do, in fact India’s broadband rates are among the lowest in the world. Recently, our Honourable Prime Minister quipped at a Conference in Japan that India’s internet rates are lower than a cup of Coffee. Well, if he says so. But the internet is patchy most of the times and the promise of 100mbps speed by the Operator is applicable only when a single device is used – but a typical Indian household would have two mobile connections for the gent and the lady each, one each for their parents & kids, a couple of other devices such as iPads, Alexa and a Smart Tv and last but not the least, the live-in maid and the household’s car driver also are allowed to use the home Wifi because of the unlimited usage options offered by the Telecom providers. And finally, the traveler completes her wallet transaction only to find that the cab prices have surged meanwhile due to peak demand - well, the Top 7 Airports in India including at Delhi, Mumbai, Chennai, Bangalore, Kolkata, Hyderabad and Kochi (in that order) which contribute to over 70% of India’s total air traffic have their peak capacity between 5am – 8am. So, finally she accepts a surged fare and curses how the Cab Companies funded by the Japanese, Chinese and American Investors have spoiled the market with freebies during off-peak hours and apply surge pricing which take away the incentives of using the App. The Cabbies in India, especially those who have joined the likes of Ola and Uber (and also food-hailing Apps such as Zomato, Swiggy & Uber Eats) have a new-found love for GPS – especially when it comes to delivering food or showing up a Taxi at the client’s place. India’s GPS is, well not so great obviously because 8 out of 10 times, these App users end up at the nearby street and call the user and sometimes even insist that the Customers come over there – either to board the cab or to collect their beloved Rotis and Pizzas. While the call happens between the Traveler and the Cabbie, one must be very cautious about the mood of the driver – so depending on their convenience, the user must agree to pay by wallet or cash. So, typically from around the 20th of the month, the cabbies reject trips which have a wallet payment since they need working capital and the Cab companies (despite funded in Billions of dollars) do not settle their payments on time. So, when a traveler says she is going to pay by Wallet, there is a high chance that the trip gets cancelled only to get allotted to another driver. By a stroke of luck, one could get the next cab arriving in 3 mins or 10 mins. Again, the cabbie who’s nearby would most probably prefer a cash payment and if the traveler refuses, the process repeats. This is a pattern, in fact. With most flights not allowing Free Cancellation or postponement, the traveler usually prefers not to cancel the next cab, because time is more precious than money. 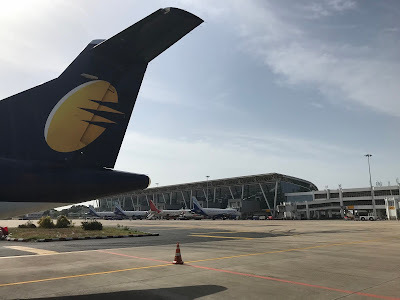 So, she finally settles for a cab with the payment option preferred by the Cabbie and heads to one of the Architectural wonders and marvels of the country – the multi-billion dollar funded “City Airport”. 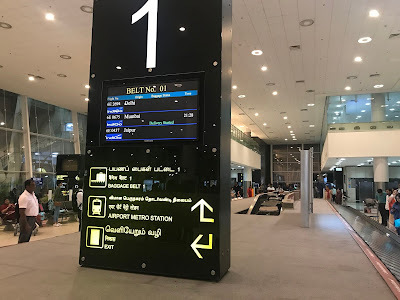 It has always kept me wondering but hell yeah, why do almost all Airports in India except at Bangalore have only 3-4 entry gates when the influx of passengers during the morning and evening peaks are an estimated 20,000 – 30,000 spread over 3-4 hours? CISF – the National Agency entrusted with the protection of Airports among other prestigious Infrastructure projects are always in a situation where the supply is lower than demand. So, the waiting queue to simply enter the Airport Terminal could take between 5-12 mins on an average, depending on how quick the CISF guard is willing to skim through the paper (or digital ticket) and match it with the 5 acceptable identity Proof documents. Now, most of these identity docs for us in the late 30s, 40s and 50s who form the frequent traveler base, were perhaps made about a decade or two earlier, so the hardcopy doesn’t match the image with the real one, despite the L’oreals and Gillette grooming accessories which Indians are embracing like no other. So, there is a 50% chance that the CISF guard takes a third look and compares the two images giving competition to the advanced AI techniques being practiced in many other developed countries. He gives a stern and final nod and allows the passenger to get inside the terminal. Oh, btw visitors are not allowed inside Terminal buildings in India. What started as a threat perception after 9/11 and 2008 London attacks has become a convenience excuse, thanks to the crumbling infrastructure in the public areas of the Terminal. So works well for the Airport Operator and the CISF indeed. All the four Private Airports have an excellent check-in process with kiosks that help travellers to skip the queue. 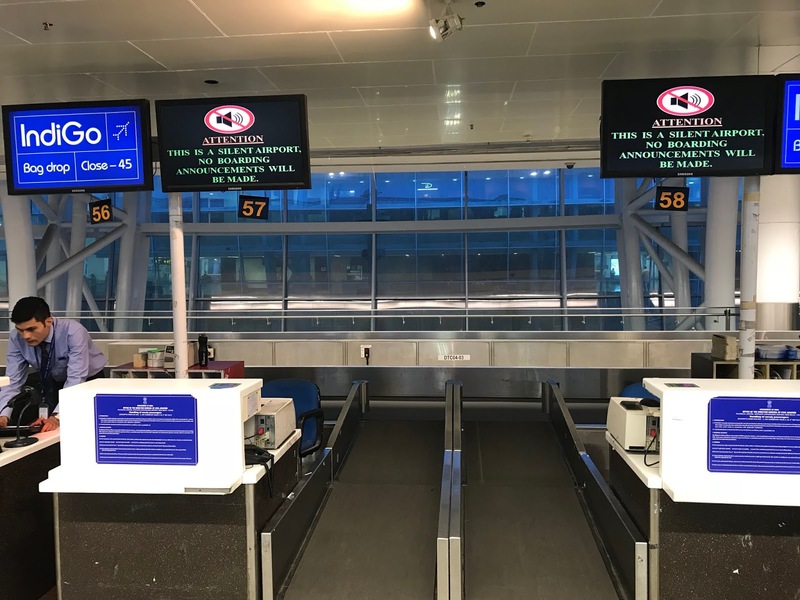 However, most Frequent Traveler check-in before arriving to the Airport, which means the baggage Drop Queues are more crowded than those which have pax who haven’t checked-in. What an irony this is! Another 15 minutes later, the pax heads to the Infamous Indian Security Check. A decade back less than 8% of all air pax were women, but not the case today. The split is at least 80:20 today especially with more women travelling on work and leisure. Although the Frisking Queue for women is just one, perhaps two. Men have to wait endlessly and finally get their “trays” where they unload their offering from their laptop bags, backpacks and other fancy bags. It’s interesting to note what all a man carries - from multiple chargers to power banks, iPad, laptops (some carry coveted MacBooks as well), two mobile phones on an average and some even carry reams of papers (somewhat work related, although I wonder who keeps paper records anymore). The best part is how Men stand at the Security Frisking area - with hands raised and legs spread. It could be gory to hilarious to a security threat to the guards themselves with some pax standing as though they would pounce on the guards! Meanwhile, there is another senior guard who’s carefully skimming the Tv screens of the X-ray machines. 4 out of 10 bags (random average, but yeah) are identified for a total display of all the internal compartments of the bags even as the pax who is already late is sulking to get to the gate. Once at the Gate, a few pax try to board a flight which is for a different destination and realise it only when the staff at the Boarding Gate send them back saying they are still boarding pax for the previous flight. Many Indian Airports still have bus gates, mostly more of them than aerobridges, purely due to infrastructure costs as well as availability of remote parking bays. So, the pax now gets to a level below and waits to board the bus and finally reaches the aircraft. Once inside the craft, there is a wrestle for multiple rights; first comes the right to stowage - who gets to keep more and how close to where they are seated. Then comes the eternal right for arm space. Seasoned travelers like me always, almost always prefer an aisle row and seat number “C” so I get one arm space for granted and also I get to do some elbow space, such as writing articles like these. Last comes the right to alight - who gets out of the craft faster as though this will ensure who will get out of the airport itself. Because the bus ride to the terminal building is a sort of sight-seeing to showcase the marvellous infrastructure that the Government or the Private Operators have invested. While waiting for the baggage, one would wonder what was the topic the unloading guys must be discussing today - from Trump’s intentions on curbing sanctions to the latest celebrity gossip and more which eventually decides how soon (or late) your bag would arrive. 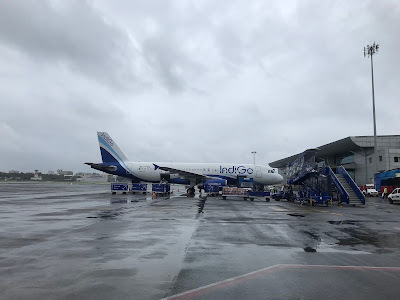 After spending over 200-300 mins or more at two Airports, the passenger finally leaves the Terminal Building back to civilisation which looks very different altogether. On the way back to a catch a flight home, the frequent flyer heads to the Lounge and flashers his Mastercard or a Privilege Pass to get seated in a cushioned leather sofa and catch up on the latest cricket score. Some of them order a drink only to be forewarned by the waiter that they need to pay for this while the food is complimentary. After gulping one or two depending on how soon or later their flight would depart, the passenger continues to enjoy the hospitality while somewhere thanking the guy who took his application form for a Credit Card many moons back, so he gets this privilege. Those who aren’t blessed with such an offering loiter along the endless pathways which have numerous shopping and dining opportunities. 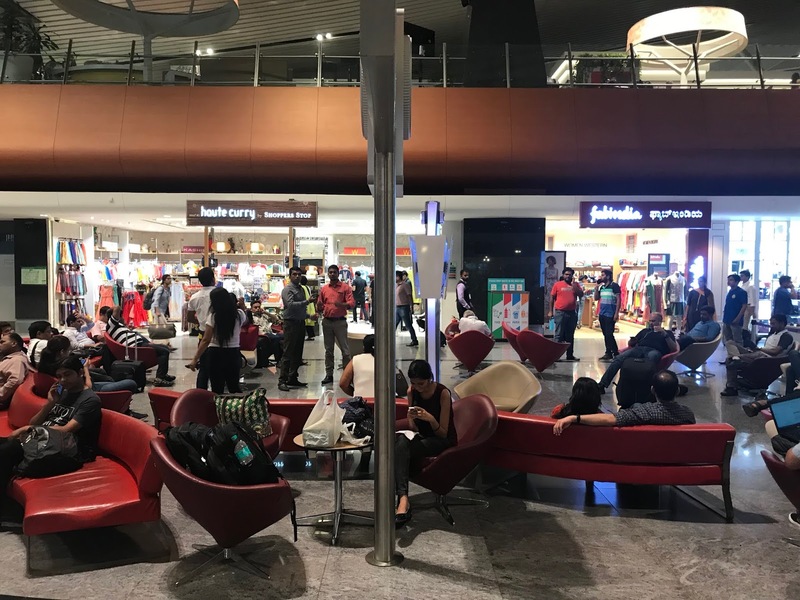 From the latest Hidesign leather bags to Designer Neck Ties, from local delicacies like Sambar Vada to customised Pastas and Sushis, one could get almost everything inside an Airport that a typical restaurant serves in the top cities of India. 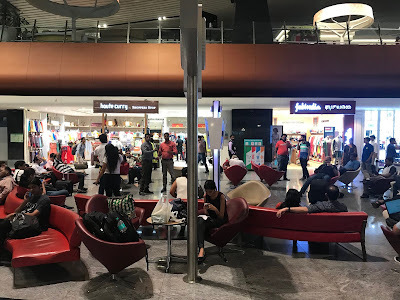 It’s so heartening to see Travel Retail has come of age so much at Indian Airports over the years that many passengers prefer to shop here than in the city stores, thanks to deals on books and electronics as well as the personal space and staff attention they receive. Having said that, most Airport Retail Stores, in my humble opinion aren’t investing even 25% interest or effort to cash in on the impending opportunities. Talk about CRM or customisation, Data Science or Business Intelligence, there is so much more to do. The staff are busy fiddling their mobile phones most of the times and even when the Customers (pax, in this case) show interest on products, they react very minimally. Of course there are a few exclusions and some of the staff do get interested in a dialogue with customers but frankly thats mutual. I have personally shopped quite a lot at the Airport stores. To show them that by building meaningful conversations with customers, one can actually “encourage customers to buy” than merely trying to “sell” a product or force them to “buy”. At Restaurants, food courts and Kiosks, the staff are more functional than vending machines with eye contacts hardly present or pitching to up-sell a thing or two. Even as the Frequent Flyer is on her / his way back home, the same process as in the morning repeats until finally one has taken the taxi back home. TSome of us start catching up sleep in the taxi and when we hit the sack, it’s close to midnight - most of us have been taught in our early days of professional employments to travel “first flight out, last flight in” and thus utilise the working day the most. Habits stay on.